I love shopping for home stuff but as my flat is pretty tiny, I’m very limited in how much I can realistically purchase. I spend far too much time browsing the home sections online, looking at all the bits and pieces I’d have in my perfect Pinterest home (sad, I know), but I just love how accessories can really give a home a personality. I hate walking into places and thinking ‘anyone could live here’, I want people to come into my flat and think ‘this is Lizi’s flat’. Here are my top home-y faves right now – let me know what you think in the comments. 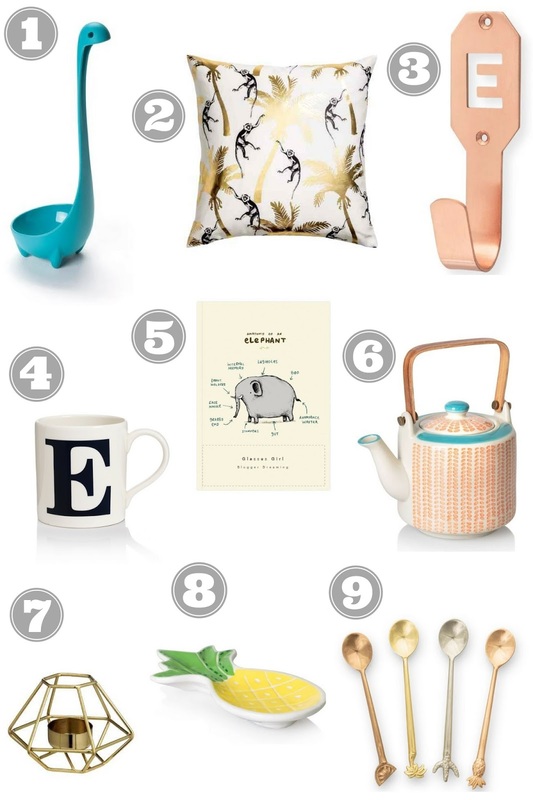 This is such a good wish list, I love the ladle and the tropical teaspoons!